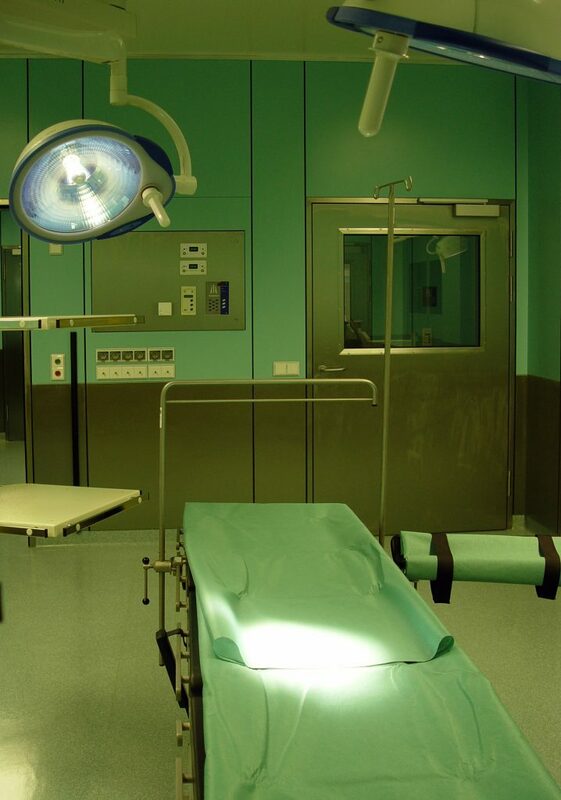 Medical malpractice lawsuits are known to be some of the most complicated, technical cases for injured parties. The average person does not have enough technical knowledge to infer negligence from a medical act or result. Because of this, many plaintiffs have to rely on expert testimony to explain nuanced details of the case and, ultimately, prove their case. In Louisiana, for a plaintiff to recover damages in a medical malpractice lawsuit, they must prove that (1) there was a standard of care required for the practitioner, (2) the practitioner breached the standard of care, and (3) there was a causal connection between the breach and in the injury. Problems arise for injured parties when their expert testimony is unable to establish these elements and they are consequently subject to summary judgment; this is what happened to the Gonzaleses in their case against the Ochsner Clinic Foundation. On November 7, 2006, Steven Gonzales saw his doctor for his diabetes at the Ochsner Clinic in Jefferson Parish Louisiana. In addition to the regular diabetes consultation, Mr. Gonzales brought a small bump on his elbow to the doctor’s attention and she diagnosed it as a cyst. The same events occurred again at his December 8, 2006 appointment with the doctor. After growing to the size of a quarter and interfering with his ability to use his arm, Mr. Gonzales requested that his doctor remove it; this occurred on 28 December 2006. After the growth was sent to a lab, Mr. Gonzales was informed that it was a stage II NO tumor of Merkel cell carcinoma, meaning that cancer was localized and had not spread to other areas of his body yet. Mr. Gonzales later had surgery to remove the tissue surrounding the tumor and radiation. Because of this, Mr. Gonzales and his wife filed a lawsuit against the Ochsner Clinic Foundation, claiming that Ochsner was negligent in failing to diagnose the cancer earlier. The Gonzaleses claimed that if the cancer had been diagnosed earlier, Mr. Gonzales would have required less extensive surgery and would have had a better prognosis and that Mrs. Gonzales suffered mental anguish because she witnessed her husband’s suffering. Three years after the Gonzales filed their lawsuit, Ochsner filed a motion for summary judgment, claiming that the Gonzales could not meet the burden of proof necessary to win at trial. In response, the Gonzales obtained expert testimony from two physicians. Even after this, Ochsner reasserted their motion for summary judgment on the grounds that the plaintiffs could still not offer expert testimony sufficient to prevail at trial. On May 22, 2013, the court granted Ochsner’s motion for summary judgment and the plaintiffs appealed. On appeal, the sole legal issue was if summary judgment was appropriate. Summary judgment is appropriate when there is no question about the facts of the case and the judge can make a conclusion as a matter of law. Courts favor summary judgment because it reduces the cost of litigation, the amount of cases in the court system, and promotes efficiency when the lawsuit can be justly decided on the facts. The appeals court found that the expert testimony could establish the first two elements of medical malpractice: an applicable standard of care and that a breach occurred. The main issue for the appellate court to decide was whether the expert testimony established a causal link between the breach and Mr. Gonzales’ injury. In the lower court, Mr. Gonzales claimed that had Dr. Lao not been negligent in her diagnoses of his Merkel cell carcinoma, he would have required less extensive surgery and would have had a better prognosis. Mr. Gonzales offered a forensic pathologist’s testimony as evidence as causation, specifically his research paper on Merkel cell carcinoma. While the forensic pathologist testified that the tumor would have been classified as a stage I tumor if found earlier, his paper made no distinction in the survival rate between stage I and stage II tumors. The court found that this testimony showed that even if the tumor had been removed earlier, the risk would have been the same. Essentially, their own expert testimony destroyed their case. On appeal, the Gonzales argued that the court looked beyond the testimony of the forensic pathologist’s testimony and made an inappropriate conclusion. The appeals court found that the forensic pathologist’s testimony and research article explicitly showed that Mr. Gonzales would not have faced a greater risk due to the delay in diagnosis and treatment, and therefore, he did not sustain any harm because of the delay and could not meet the burden of proof at trial. Lastly, the appeals court analyzed the claim of mental distress. The only way the Gonzales could have prevailed on this charge is by proving “genuine and serious emotional distress, arising from the special circumstances.” Moresi v. Dept. of Wildlife & Fisheries, 567 So.2d 1081(La. 1990). The appeals court found that no special circumstance existed between Dr. Lao and the Gonzales. As well, to prove “genuine and serious emotional distress” in cases involving the misdiagnosis of cancer, Louisiana courts require the plaintiffs to prove the practitioner committed malpractice. The Gonzales could not prove negligence in any of there other claims, therefore, they could not establish malpractice and could not recover. When there is no issue of material fact in a lawsuit, it is appropriate for the court to apply the law to the lawsuit without going to trial. La. C.C.P. art. 966(B). Summary judgment, while speedy and efficient, takes away a plaintiff’s ability to plead their case to a jury. To prevent this sort of outcome, it is imperative the expert testimony given will support, and not directly contradict, the plaintiff’s claim. The best lawyers know to obtain expert testimony that strongly benefit their clients and gives them the best chance of recovery.